Now you may have seen on Instagram a few weeks ago we took a look at this shop when we were in London. 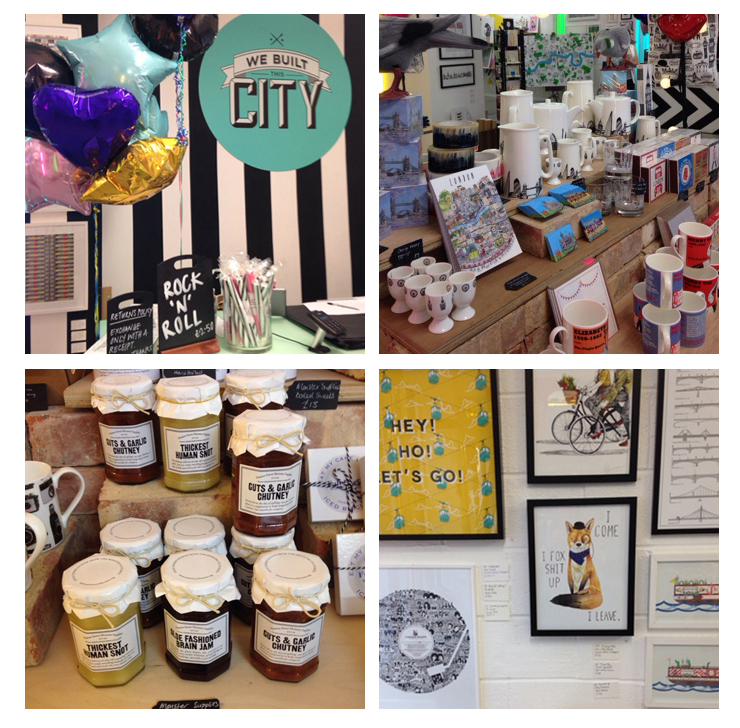 We Built this City is a souvenir shop with a difference! It showcases all that is good about London design, whether that be illustrated maps of London, chutneys made in London kitchens or designers who have their studios in London. It means that tourists to the very popular Carnaby Street where the shop is based, can have a very different souvenir experience to go back home with. Or, of course, people can just get cool stuff from the shop wherever they are from. I particularly love a print and the print wall made me want to plaster my flat in them. The designers work on display is fresh and interesting and will give people a different view on what makes London great. If you are able to go to the We Built this City shop it is at the further end of Carnaby street, near Beak Street. If not, get someone you know to have a look for you and post it up! ha, ha. Or, you could have a look at the artists individual websites once you have found them on the We Built this City site. Anything to help designer/makers. Is there anywhere near you that we should take a look at? We love to find new designer/makers and shops full of fun things, so let us know in the comments and we can go have a look.